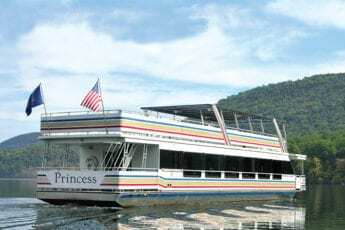 Beat the summer heat with a trip to nearby Frostburg. As temperatures climb this summer, a place by the name of Frostburg may start to sound appealing. 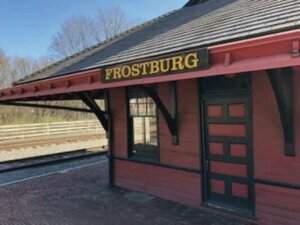 Just an hour away off exits 33 and 34 of Interstate 68 in Maryland, Frostburg is named not for its frosty, 2,000-foot elevation—Morgantown sits at just under 1,000 feet—but for its early settlers, the Frost family. Still, its historical downtown and robust arts scene make it a great getaway for a daytrip or a long summer weekend. Frostburg also sits on the Great Allegheny Passage, the 150-mile rail-trail that connects Pittsburgh and Cumberland. More than a million people ride the GAP each year. Many of them hop from town to town as part of a new and growing trail-based economy. The more time you spend in Frostburg, the more you’ll notice bicycle culture. The Great Allegheny Passage is only the most recent chapter in the town’s long history on transportation corridors. In the early 1800s, Frostburg was one of the first communities on the National Pike connecting the Potomac and Ohio rivers—today’s Historic National Road, U.S. Route 40. Those turnpike days are recalled by the Thrasher Carriage Collection of the Allegany Museum, one of the top horse-drawn carriage collections in the nation (19 Depot Street, 301.777.7200). Turnpike traffic declined mid-century when the Baltimore & Ohio Railroad and the Chesapeake & Ohio Canal reached nearby Cumberland, so Frostburg changed its fortunes by mining coal and shipping it by rail to the main rail lines. The historic 1891 depot next door to the carriage museum now serves as the western terminus of the Western Maryland Scenic Railroad tourist train circuit from Cumberland and back. 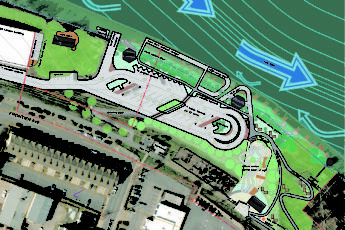 Check out the bicycle-themed Switchbacks Sculpture Garden on the trail that connects the depot with the GAP. But most of Frostburg’s history centers on Main Street, the original turnpike through town. At the center of that is Failinger’s Hotel Gunter. When it opened in 1897, it boasted 100 rooms, fancily clad bellboys, and a chef from New York. Later decades brought a gamecock fighting arena, a speakeasy, and a jail that housed prisoners under transport over the National Road while federal marshals stayed upstairs. You can see the jail today in the hotel’s museum (11 West Main Street, 301.689.6511). Also check out the Frostburg Museum (56 East Main Street, 301.689.1195), where memorabilia include instruments from the Arion Band, said to be the oldest community band in the United States, still performing after 141 years, and the Braddock Stone carved highway marker. The arts are bursting out all over Frostburg. Cheery murals brighten the columns of the Frostburg Library (65 East Main Street) and a parking lot at 19 South Broadway—and keep your eyes open for three robots on Main Street businesses. 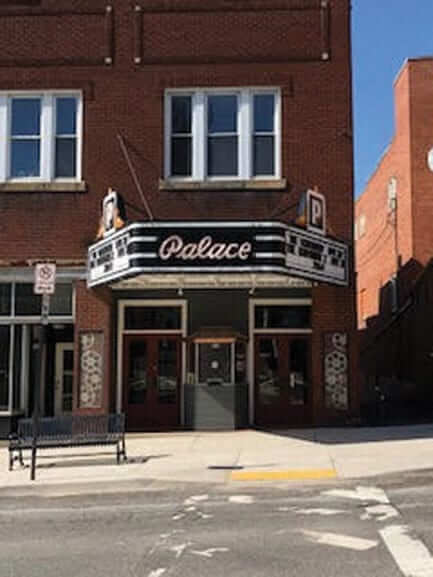 The community rescued The Palace Theater (31 East Main Street, 301.687.0921), established in 1914 in a pre-existing building, after multiplexes shut it down in the 1980s; today it shows indie, classic, and foreign films and hosts plays and music performances. Mountain City Traditional Arts (25 East Main Street, 301.687.8040) promotes Appalachian arts and artists and hosts occasional events. You can find new and used vinyl and vintage turntables at Yellow K Records (19 South Broadway, 240.284.2035), a hub for an active community of music lovers. 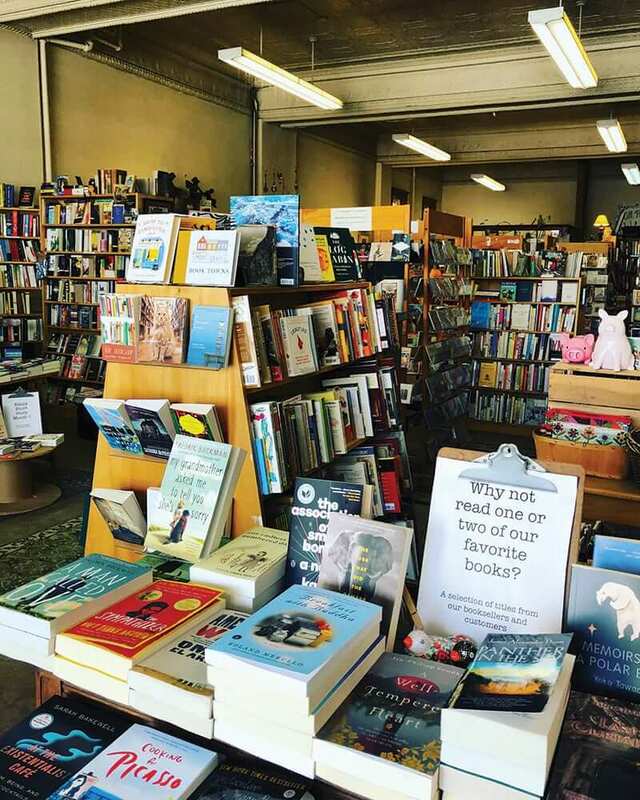 Rare in a small town, the surprisingly large independent bookseller Main Street Books (2 East Main Street, 301.689.5605) hosts literary events, and Frostburg Fiber Depot supports the fiber arts with enthusiasm through workshops and outings (9 West Main Street, 240.284.2154). 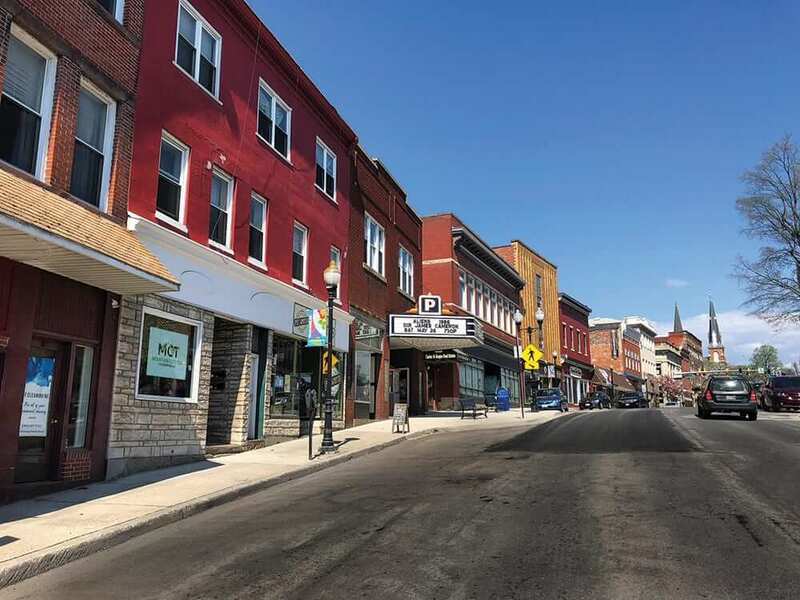 A trip to the campus of Frostburg State University—a five-minute drive or 10-minute walk from downtown—gives a feel for the academic side of Frostburg’s economy and culture (101 Braddock Road). Opened about 1900 as a two-year teacher’s college, the institution grew over the years and now offers a wide range of bachelor’s and master’s degrees and a doctorate in education. When you’ve worked up an appetite, you can get breakfast, lunch, dinner, or just a slice of house-recipe coconut cream pie at Princess Restaurant, a diner that’s been family-operated for four generations (12 West Main Street, 301.689.1680). 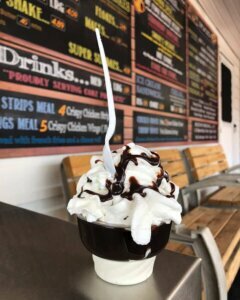 For a lighter meal, try Mountain City Coffeehouse & Creamery (60 East Main Street, 301.687.0808) or stop in at Lorenzo’s Bakery (10 South Broadway, 301.689.6570) or the 60-year-old Frostburg Freeze (225 West Main Street, 301.689.3020) for a sweet treat. Later on, sample the wines at Toasted Goat Winery (10 East Main Street, 301.268.3010). And for nightlife, have a look at the eclectic schedule at Dante’s Bar (16 West Main Street). If you’re making a night of it, you have several options. 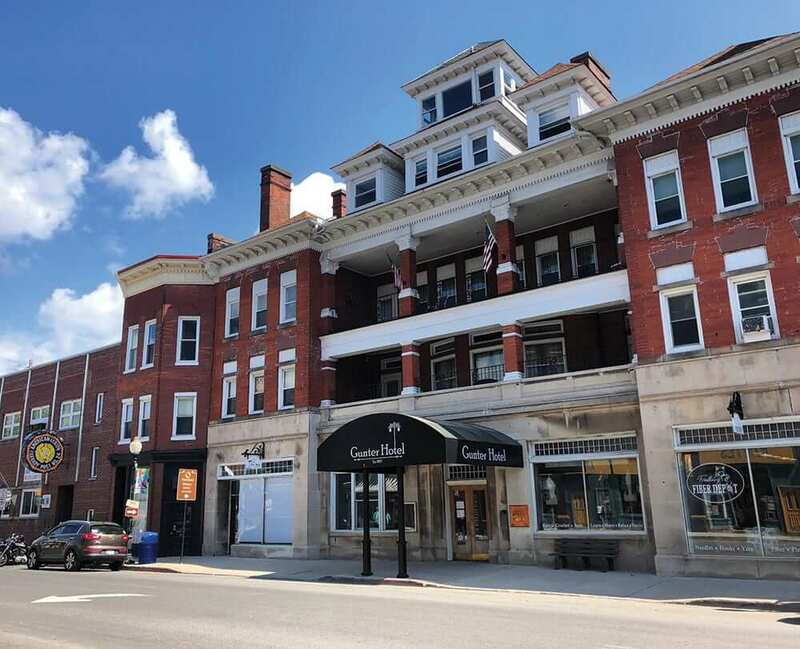 In addition to the Hotel Gunter, the Allegheny Trail House B&B is a farm-to-table bed and breakfast downtown (156 East Main Street, 240.580.9795). The Trail Inn B&B sits right beside the trail and also operates a campground out back (20 Depot Street, 301.689.6466). Allegheny Trail House and Trail Inn make accommodations for bicycles and offer shuttle services, making Frostburg an especially good overnight for cyclists. But anyone can fill a weekend in this town of history, arts, and recreation. A great introduction to my hometown! And while you’re in Frostburg make sure to visit the other businesses that were not listed in this article.